"While some women may think that wedding dresses come in one color - white - anyone who has ever shopped for such an ensemble knows that is not the case. From snowflake to eggshell, wedding gowns are available in a wide range of hues. According to TheKnot.com, there may be some shades that look especially flattering on a blushing bride. Ladies with fair skin or a medium complexion with pink undertones should look for a wedding dress with gentle yellow undertones, such as ivory, as they walk down the aisle. While the website warns that these gals should stay away from stark white as it can wash them out, women with dark or tan skin will look great when rocking the pure hue. Girls with medium coloring and yellow undertones will dazzle in a champagne gown that boasts subtle pink undertones. However, there is one color that every bride-to-be should try on - diamond white, which is one shade away from true white. "Eighty percent of the population looks best in a soft, diamond-white dress, which isn't as chalky as a white-white," industry insider Melissa Sweet told the website. "When in doubt, buy diamond white." 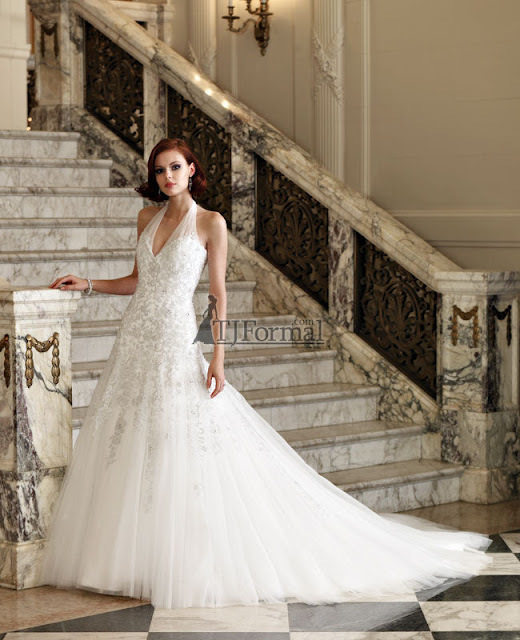 Many wedding dresses at TJFormal.com can be made in Diamond White. 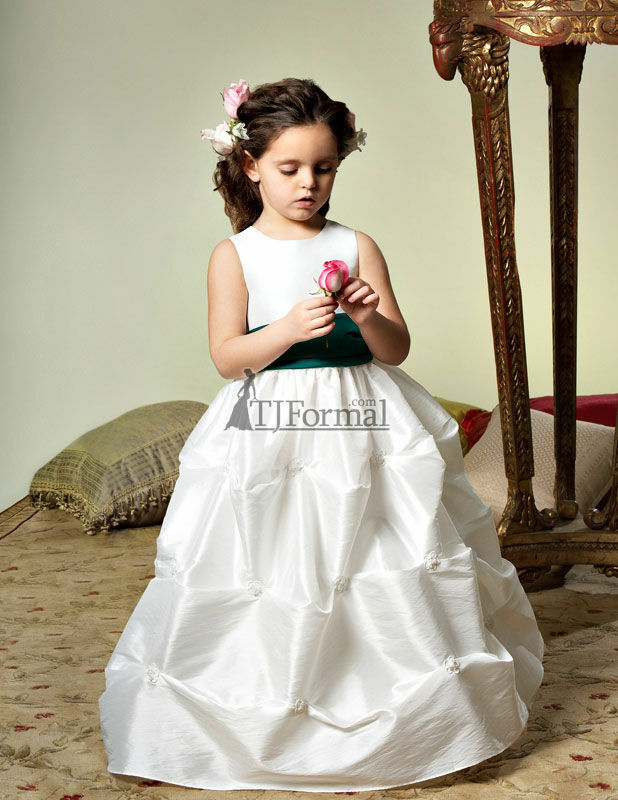 Flower girls dresses are also available in Diamond White. I never ever thought about the different colors of white and ivory being so different. Thanks for the GREAT info! New Jovani Mother of the Bride dresses - WOW!! Formal dresses with pockets - yay or nay?